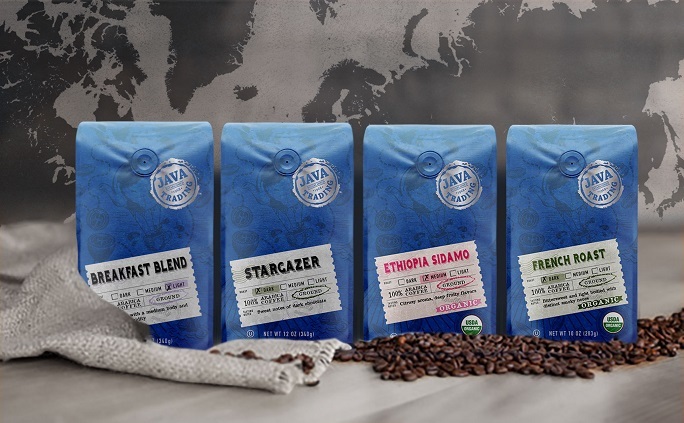 RENTON, Wash., U.S. — Java Trading Company will unveil its new coffee line at the Natural Products Expo East Show on September 13-15, to be held in Maryland at the Baltimore Convention Center. Dedicated to providing a taste experience from seed-to-cup, the new Java Trading coffees will be showcased at Booth #5011. Established in 1968, the traders of Java Trading have traveled the world, sourcing and forging relationships with farmers that work the land and grow the finest coffee beans. Today owning its own sustainable farms and mills in Costa Rica and Colombia, Java Trading continues to source new family farms and mills in exotic lands that share the same philosophy of eco-friendly coffee farming. Packaged in whimsical designs of old world travel and authenticity, each label evokes a sense of journey from its coffee’s origin. With a tagline of “We discover. You enjoy.”, Java Trading Company is committed to ethical sourcing and sustainable business practices. The coffees are available in 10-12 oz. bags and 10 ct cups at the suggested SRP of $7.99.